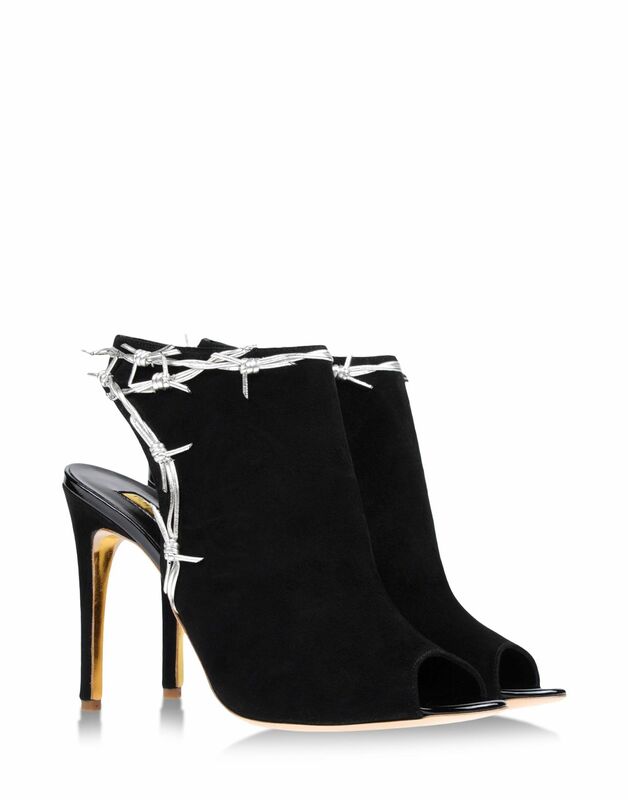 Today's So Shoe Me is the Barbed Wire Ankle Boot by Rupert Sanderson, $1575, available at Bloomingdale's. It's okay to be a little rough around the edges while in these barbed wire booties by Rupert Sanderson. A basic black suede upper and 4" spike heel adds a classic silhouette that is the perfect juxtaposition to the industrial "barbed wire" trim. This signature spiked heel will add an instant edge to fall basics making it the perfect statement splurge that will remain in style for years to come. Pair these silver barbed wire booties with a plaid top, leather leggings and simple safety pin earrings for a punk inspired fall look. So Shoe Me a pair of barbed wire booties that will add a sharp edge to my everyday basics this fall for a high fashion meets street style design.